It’s one of the hot topics this election year. 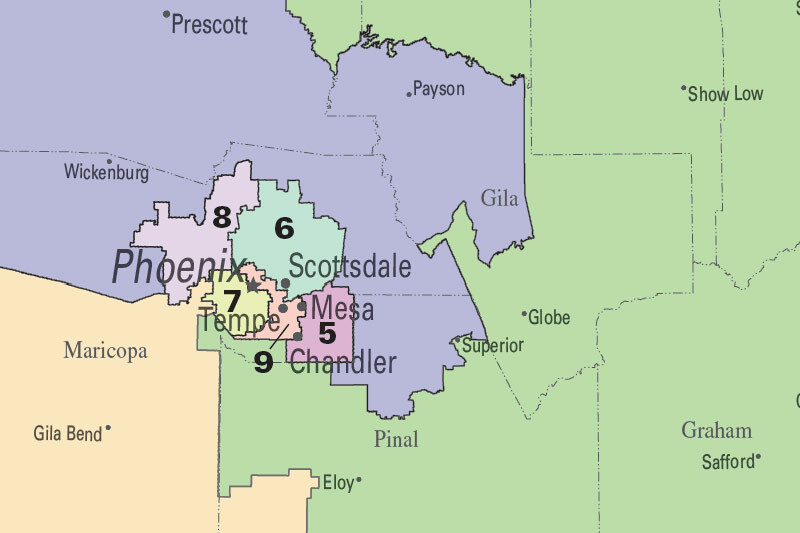 Candidates running for office in districts they don’t live in. Jason Barry reports on the issue and interviews Catherine Alonzo for her insight. U.S. Congressman Paul Gosar represents Arizona’s 4th congressional district, which stretches from Payson to Prescott and Lake Havasu City to Yuma. But his family home is in District 1, that runs from Flagstaff to Page and Show Low to Eloy. Arizona House Speaker Andy Tobin lives in District 4, but he’s running for the congressional seat in District 1. Legally, these politicians are doing nothing wrong. Congressman Gosar is reportedly renting an apartment in Prescott, voters have questioned how much time he actually spends there. CBS5 reached out to Gosar’s office by phone and e-mail Thursday, but did not hear back. Tobin stopped by CBS 5 studios to explain. He said that he has lived in District 1 for years, but redistricting in 2012 moved his house about 10 miles outside the boundary. Tobin promised, if he’s elected, that he will move into District 1 immediately. Tobin also said that if he moved now he would have to give up his position as Arizona speaker of the House. Something he did not want to do, because he said there is still more work to do. Reprinted from CBS 5. By Jason Barry, general assignment reporter for CBS 5 News. Copyright 2014 CBS 5 (KPHO Broadcasting Corporation). All rights reserved. Read the original story here.